In this “glittering, Gatsby-esque” (Publishers Weekly) novel, two generations of Quincy women—a bewitching Jazz Age beauty and a young lawyer—are bound by a spectacular and mysterious Indian necklace. Always the black sheep of the tight-knit Quincy clan, Nell is cautious when she’s summoned to the elegantly shabby family manor after her great-aunt Loulou’s death. A cold reception from the family grows chillier when they learn Loulou has left Nell a fantastically valuable heirloom: an ornate necklace from India that Nell finds stashed in a Crown Royal whiskey bag in the back of a dresser. 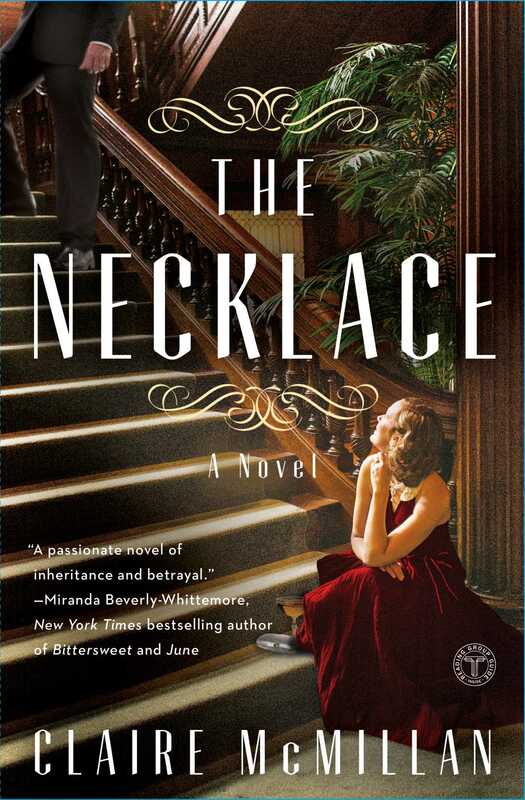 As predatory relatives circle and art experts begin to question the necklace’s provenance, Nell turns to the only person she thinks she can trust—the attractive and ambitious estate lawyer who definitely is not part of the old-money crowd. More than just a piece of jewelry, the necklace links Nell to a long-buried family secret involving Ambrose Quincy, who brought the necklace home from India in the 1920s as a dramatic gift for May, the woman he intended to marry. Upon his return, he discovered that May had married his brother Ethan, the “good” Quincy, devoted to their father. As a gesture of friendship, Ambrose gave May the necklace anyway. Crisp as a gin martini, fresh as a twist of lime, The Necklace is the charming and intoxicating story “written with wit, compassion, and a meticulous attention to period and cultural detail” (Kirkus Reviews) of long-simmering family resentments and a young woman who inherits a secret much more valuable than a legendary necklace. Before it all begins, Nell looks up at the arched gables, hesitates at the heavy front door. Everything here is a test. No Quincy, not even a peripheral one, knocks unless she aggressively wants to announce herself. A true Quincy would bound in, secure in her welcome. But Nell creaks open the door and silently slips through like an intruder. Lighted by the wavy leaded glass windows, a taxidermy antelope head gazes down with hazy glass eyes. An Indian blackbuck—she thinks someone told her this as a child. The ears show patches, as if something’s been nibbling them. Bits of fur and dust fuzz the floor beneath it. A time-warp feeling settles over Nell like weather. She sneezes. Her cousin Pansy looks over from the living room and mouths “Gesundheit,” then turns back to the small group of women Nell should recognize but doesn’t, no doubt in conference over last-minute details for Loulou’s wake tomorrow. What does one call Quincys in multiple? A clutch? That’s eggs. A murder? That’s crows. A judgment? That’s perfect. A judgment of Quincys brings to mind her ancestor Increase Quincy and his infamous verdicts at Salem, and makes her wonder if judgment is encoded in the Quincy double helix. She feels an arm around her waist and a kiss on her cheek. “Nell-bell.” Her cousin Emerson, Pansy’s younger brother, is Nell’s age and adheres to the male Quincy uniform of dark suit and tie. Despite this, he’s rumpled. His tie with a pattern of tiny clocks is fraying at the wide end. He smells like he’s been here for at least a few Old Grand-Dads. “Hey.” She gives his waist an extra squeeze, and lets it go that he knows she hates that nickname. She hasn’t seen him in years. Then again, a few years is not particularly long between her and the Quincys. Her parents preferred living in Oregon, where they’d met, and where Nell lives now. They’d put a country between themselves and the Quincys reflexively sizing them up. Despite this removal, Nell’s mother would insist they make a pilgrimage here most summers. She’d instruct Nell for the length of the car ride from the airport to use her best manners—please, thank you, pass the hors d’oeuvres before taking one for yourself. She’d turn fully in her seat, lean over the armrest, and inspect Nell’s fingernails for dirt while her father drove. “Only wear fur between Halloween and Valentine’s Day,” Loulou had said once when Nell was seated next to her. An unusual honor. Loulou had a confidential, chummy tone in her voice that day. Nell had been conscious of her table manners and had taken miniscule bites. She still can’t remember what she ate. The glamour of the statement had delighted her, though now she wonders at imparting this lesson to a ten-year-old. Her mother’s lips grew tight across the table. She volunteered at the wildlife animal sanctuary. No one they knew in Oregon wore fur. But this piece of advice seemed important to Nell if she were to become a Quincy-type grown-up. One would have furs, and of course one would follow the rules for wearing them. “Red shoes should really only be worn by very small children and prostitutes,” Loulou said to Nell’s mother once when she thought Nell was out of earshot. “Don’t you think she’s getting a little old for those?” Though Nell didn’t know what a prostitute was, she was no baby and she’d refused to wear the red patent Mary Janes after that, much to her mother’s exasperation. Until then, they’d been favorites. And the one she could never remember without a hot flush, even now, happened on the same day as the fur instructions. “Picking one’s teeth should be done in private, dear,” Loulou had stage-whispered loud enough that everyone at the table heard. “Like most pleasurable things.” She’d turned to Nell’s mother. “Really, she should know the basics, shouldn’t she?” As Nell’s ears reddened, she’d watched in baffled delight as her mother stuck her finger in her mouth, aiming toward a back molar. Her father had choked on his bourbon, silently laughing. Today, Emerson steers Nell by the arm into the flower room, which has always served as the bar, and tries to get her to drink whiskey with him, though it’s only lunchtime. She accepts a glass. It’s easier than openly refusing. “Is Vlad here?” she asks. Emerson’s partner, Vlad, works in the conservation department of the Met and is a great favorite of all Quincys. He’d come close to walking away after demanding that Emerson stop being ashamed and come out to the family. Nell still couldn’t believe Emerson had manned up and brought Vlad to the farm. “This is a farm?” Vlad had asked. Emerson had explained to his Czech lover, product of a communist childhood, the concept of a gentleman’s farm. Nell did know. Vlad had managed to charm Loulou with his European manners and wide knowledge of art. Nell’s wishing she also had someone with her, a plus one, a partner, a human shield. Lately, she’s been accepting of her single fate, embracing of it even, and it didn’t chafe. But it’s days like today that she wishes she had an effective distraction at her side—a charming and successful husband maybe, or a cherubic and precocious child. Glad of her little detour with Emerson, Nell has a chance to take it all in. The Canaletto over the living room mantel is hanging next to a calendar from the local arboretum Scotch-taped to the wall. The carved jade emperor’s bowl sits side by side with a plastic candy dish in the shape of a cow, which moos when anyone reaches for a treat. The two-foot high stack of National Geographics from the sixties still stands in front of the bookshelf that holds a complete set of first editions of Ralph Waldo Emerson’s essays and poems—her cousin’s namesake and a distant Quincy relative. It’s a tableau from her childhood preserved intact—from the highball glass sweating and leaving rings on the marquetry table to the Ritz crackers and cheddar cheese on a chipped demi porcelain dish. She’s underestimated the impact of seeing it again. And the scent of the place—mildew mixed with Windex—sends her neurons firing down a wormhole that strips away decades so she is a girl again, self-conscious and bewildered and filled with a fraught desire to belong. She’d been careful never to let on to her mother that she was intrigued by this side of the family. Since earliest remembering she has known where her loyalties should lie. Despite her mother’s efforts to impart her own reticence, Nell’s feelings for the Quincys have always been tinged with never-admitted longing and a secret pride. As she walks into the living room now, her uncle Baldwin is sunken into one end of the loveseat listening to the preparations for tomorrow’s services, an untouched glass of something amber at his side. “Saved a place for you right here,” he says, inclining his head without dropping a stitch as he works on a painted needlepoint canvas depicting an elaborate buckeye tree. Needlepointing allowed him all sorts of cover at family gatherings. He could sit in the corner and pretend he wasn’t eavesdropping or didn’t hear a question, or exit a conversation by concentrating on his work. And damn anyone who dared to so much as raise an eyebrow at his traditionally “feminine” hobby. It was just the sort of eccentricity born of privilege that Baldwin enjoyed flaunting. “Why, men make the best stitchers,” he’d say, his blunt fingers flying over patterns of sailing flags or hunting dogs. There was a wink in it, an acknowledgment that unless you were a Quincy, you probably wouldn’t know about such things. He’d sent Nell’s mother a pillow one Christmas depicting what was supposedly the family crest. “Good Lord,” she’d said when she’d opened it, setting it aside quickly and barely looking at it. Though she’d send a gushing thank-you note, Nell knew. Nell had squirrelled away the pillow in her room, blending it in with her menagerie of stuffed animals. She has no idea where it is now. Nell settles in next to Baldwin, glad for his rapid-fire questions about her life, which cover any awkwardness. “Still working so hard or have you found time to hike? Isn’t that what you Oregonians do out there? Go hiking in the forest? Do you eat the salmon or have you become one of those vegans?” He is too restrained to nose around in her romantic life. Whether it’s good breeding or because his wife, her aunt Sharon, ran off with a fly-fishing instructor a decade ago and now lives in Wyoming, she couldn’t say. Pansy and the female relatives have stopped talking about their plans for tomorrow, listening in on Nell’s debriefing. Nell can’t help but feel that Baldwin’s faux chumminess and the room’s silent spotlight marks her as the outsider, the guest. “We don’t actually belong there,” her mother would say with a little relieved sigh when they’d settle into their seats on the plane back to Portland. When the wireless doorbell rings, a quotidian digital buzz that replaced the old chimes years ago, Nell’s relieved. A true non-Quincy has arrived. From the formal tone of his emails inviting her to this meeting, Nell expected someone older. But the estate attorney, Louis Morrell, is about her age. His boring suit and subdued tie contrast with his shaved head and corded neck, which indicate he might spend some regular time at the gym. The effect is of a Mafia don’s right-hand man, a true consigliere, and not at all the sort of lawyer Nell imagines Loulou hiring. A homegrown boy, Nell’s guessing, but she reminds herself about books and covers. He removes his suit coat and throws it on the long bench near the fireplace, as if he’s home from a long day at work. “Louis,” he says, pronouncing it “Louie.” “Like the song.” He walks toward Nell with an arm extended, welcoming her as if he owns the place. “Great to see you, Nell. You’re the only one I haven’t met yet.” A heavy gold link bracelet shines next to his shirt cuff. Pansy’s knowing smirk gives Nell a reassuring sense of coziness—a judgment of Quincys, indeed. Pansy doesn’t pull her punches for anyone. Even as kids, she often duped the gullible and ditched the slow, including the younger Nell. Uncle Baldwin had given her the name Pansy thinking it old-fashioned—harkening to some long-dead aunt and a flower. The name had made it a virtual certainty Pansy would grow up to be a badass. Five feet ten inches of marathon-honed control, her Patagonia fleece and practical running clothes, even at a meeting like this, convey her complete comfort in her surroundings and telegraph that she’s up for anything coming her way—a run, lifting heavy objects, combat. Next to her, Nell feels conspicuous in the tailored clothes she bought especially for this trip, hoping they’d convey an air of easy appropriateness. Emerson stands. “Great to see you again.” They do that one-armed man-hug thing. So, clearly Louis has been around awhile. Baldwin manages to stop needlepointing long enough to raise three fingers and shake Louis’s hand, but he doesn’t get out of his seat. It gives Nell pause, considering her usually gregarious uncle. And then Louis makes his way around the room, greeting Pansy’s companions in order of importance, clearly in on the Quincy family hierarchy. Pansy’s smile disappears as she closes the front hall door behind the exiting relatives. “I’m the only one around here who’s planning anything. I’m, like, the matriarch now, or something.” She throws herself on a low sofa and puts her feet up on the butler table, mindless of the loose hinges. Emerson groans. Connie Rensselaer’s mini spanakopitas were a bland and soggy mess, which isn’t surprising, given that the Rensselaers aren’t Greek and none of them have ever cared a whit about food despite having “hot and cold running help,” as Loulou used to say. If Louis hears this sibling back and forth, he doesn’t show it, and Nell recognizes a fellow pro. She’s honed similar political skills in depositions and courtrooms and knows exactly how much effort is required to make this look natural. As she watches his finesse, she decides that if one of the most expensive firms in town, plus Loulou—who’d been a notorious snob—can trust him, then she’ll keep an open mind. “I’m so sorry for your loss,” Louis says, calling this meeting to attention. Tactfully dealing with death is a requirement in his area of law. He sits on an overstuffed chintz loveseat, the bottomed-out springs forcing his knees up to his chest as he roots through a document bag, unpacking clipped stacks of paper onto the floor until Pansy clears the coffee table. Emerson slumps in his chair, the caning long ago busted out on the sides. He scrolls through his phone, so big it’s like a piece of toast. Emerson works for one of the big New York banks, a fact Baldwin enjoys strategically wedging into conversations. He’s taken a hit in the downturn, but managed to save his job by working twice as hard. His phone is now an appendage. His slumped posture and distracted manner say “I don’t see why we have to do any of this.” His attention to his phone says “We all already know what’s in these documents.” And Nell feels that familiar mix of envy and yearning she’s often felt when confronted with Emerson’s place in the family. Louis’s email had said he wanted the three cousins, Emerson, Pansy, and Nell, here to go over procedure and process since they’d be in town already for the memorial service and wake. He’d have private meetings with each of them later. He passes out copies of the will. In her reply email, Nell had requested to be given a copy as right at this meeting and the others had followed on. She’d probably annoyed this Louis lawyer with that, but the pro shows no inkling of it as he hands her a stack. As a warm-up, he walks them through small gifts to the nurses first, then moves on to a few charities where Loulou had long served on the board, followed by token legacies for well-remembered godchildren. She had about a half dozen of them. It’s not something they need to go over, and Nell recognizes that he’s leading them in slowly. After a diplomatic amount of time, and proper mutterings about the propriety of all this, Louis continues. “The firm has been privileged to work with this family. This is just going to be a preliminary discussion about the timelines moving forward.” He passes out more papers, which are flipped and shuffled in earnest. They’ve all zeroed in on Nell’s status first. Nell feels the effort they’ve been putting into appearing friendly while they were controlling their curiosity. She rifles the papers in her lap for something to look at, shock and a slight edge of excitement racing through her. She can feel Baldwin’s eyes on her. The prized Canaletto goes to Emerson, along with the first-edition Emersons, which is only fitting. To Pansy she’s left the jewelry in a safe-deposit box downtown. Louis hands Pansy a tiny key and a printout of passcodes and PINs. And to Nell she’s left a necklace. “We haven’t managed to find it yet,” Louis is saying to her. “But I’m sure it’s here somewhere. I apologize,” he says, perhaps noticing Nell sit up straighter as her lawyer brain kicks into gear. “But your grandmother—” Nell starts at the word; she was Aunt Loulou to her. “Sorry, your great-aunt was easily upset at the end and it was decided it was best not to have a bunch of strangers in the house looking for it.” It’s then that Nell’s lawyer armor fully slips on, because if he were her associate, he’d be getting a dressing-down right now. As the lawyer for the estate, he should be on this. He should have made sure someone found it, whether or not Loulou was acting cranky. “We did manage to clean out the basement. We had a team that was very sensitive,” Louis says directly to Nell, as if she is already in charge. Nell’s picturing Ali Baba’s cave in that dirt-floor basement, but filled with gold formerly under international sanction, tarnished flatware, and liquor that tastes like a Swiss cough drop. “She was concerned with the collapse of Western civilization, like, legitimately concerned with a coming Armageddon,” Pansy says, and Nell can’t tell if Pansy shares this belief or is just protective of her grandmother. “Like the zombie apocalypse?” Emerson says, eyes still on his phone. “You guys couldn’t have had her in some blue chips or something?” he says to Louis, who holds up both hands in defense. Lawyers don’t handle investments, and it was Loulou’s money to do with as she liked, however ill-advised. They all know this. His quick dismissal of her single legacy makes her feel like this should be expected. She didn’t really think she was here to receive anything legitimate, did she? Nothing besides some leftovers or a mix-up should be expected, even if she is executor. She can feel Louis watching them all. “?‘And the residue of my estate,’?” Pansy reads out loud. “?‘Keeping in mind the provisions I have made for my son, Baldwin, and his children in subsequent bequests and gifts, both in this instrument and throughout their lifetimes, blah-blah-blah to be divided and blah-blah by my grandchildren and my grandniece Cornelia Quincy Merrihew.’ Translation?” she says, looking at Louis. Emerson is scanning his copy, mumbling to himself. “It was intended for her to live on,” Baldwin says, a touch defensively, as Emerson flips to the last pages containing the totals. “She went through it like spaghetti,” Emerson says under his breath. “Son,” Baldwin says with a shake of his head. “As it stands, I know she took a long time considering her options,” Louis interrupts, ready to move this along. “She always did feel guilty about your mother,” Baldwin continues to Nell in the magnanimous tone of someone secure that he’s gotten everything he wanted. Nell’s neck feels hot, and she decides to opt for the nicotine gum, even though she’d really like a cigarette, an old habit she’s been able to fend off in times of stress with the gum. What she’d really like is a few moments to step outside and breathe. Even breathing in noxious poison would be better than sitting in this atmosphere. Louis is then met with a barrage of questions; no one waits for him to answer before firing another. What does this mean for taxes? Who’s to take care of the day-to-day? How does this affect the generation-skipping trusts? What do we do next? All the questions secretly ask the same thing: do you know what you’re doing? Nell watches as the chummy rapport with Louis fades away, suspicion falling into place quickly. She reaches into her bag for another piece of gum and adds it to the wad in her cheek, feeling the nicotine hit her bloodstream. “Can I have one of those?” Pansy asks. “It’s nicotine gum.” Nell mumbles her confession. At that, Nell hands it over. She never has been able to say no to Pansy. No one has. Pansy raises it in toast before popping it in. “Sorry to hear about you and Paul breaking up,” she says as she chews. Meanwhile, Baldwin and Emerson drill Louis on provisions she doesn’t care about. Nell has to think for a minute about how to respond to a kindness from Pansy. Things have been over with Paul for months, but Nell recognizes the gesture. And there are other factors to consider. There’s Pansy’s smugness, backed by her seemingly successful marriage to Brian, a management consultant who travels constantly. There are their two boys, who are enmeshed in soccer and lacrosse. And then there is her job as a holistic life coach and intuitive guide, which seems to be doing well given the elite pricing Nell had seen when she’d stalked the website yesterday. This is all in contrast to what Nell suspects is the Quincy view of her life, as ingrained as it is retro: a spinster with no kids, a sucking black hole of a career, and a wastrel father in Italy. “But I never liked him. No one did.” And this is classic Pansy, thinks Nell, nodding her head at the predictability, but looking like she agrees. Pansy’s digs are not traditionally the type of thing you can call her out on without looking crazy or defending an untenable position. Paranoia hits Nell in the chest at the thought of a Quincy cabal discussing the wretchedness of Paul, of her life, only now letting their opinions be known. It’s one thing to suspect, quite another to confirm. The shimmering glamour-spell of the Quincys is fading, as it does when she’s around them long enough, reminding her that her mother did know best and a wide berth is required. She cracks her gum in response to Pansy. Louis is packing up his much slimmer document case. Paper is strewn around the room as if he’s detonated a bomb. Nell tries to catch his eye as he moves toward the door, but he won’t look at her. She has questions, and she wants to ask them away from Pansy. She gives up any pretense of disinterest and follows him to the front hall, ditching her gum in the wrapper and stashing it in her empty glass. “You don’t know where this thing is?” she asks his retreating back. His forehead furrows and lines crease the corners of his intelligent eyes, drawing them down and giving him a competent look, as if he can handle anything thrown his way. She suddenly wonders what he thinks of this whole business, if he finds them all ridiculous. “She was sure of what she was doing, if that’s what you’re asking.” He places both of his bags at his feet and widens his stance, bracing for an inquisition. “Loulou was a Libra,” Pansy says, coming up behind them, and not even pretending she didn’t overhear. “The scales, you know.” She holds her hands up with an imaginary set of weights. “They have an acute sense of fairness.” She addresses Louis as if Nell isn’t there. “As they define it, of course.” With that, she walks out to retrieve something from her car. “She was kind of an outcast, my mom.” Nell tries to feel normal as the intricate gears of her family are revealed to him. But she shouldn’t feel uncomfortable. In his role as estate attorney, Louis’s already had an eyeful. “From what I can tell, your mother was very much on Loulou’s mind,” he says generously. “Are you staying?” Pansy asks, coming back from the car with a saddle leather tote. When Nell doesn’t answer, she says, “Brian’s out of town and I’ve scheduled sleepovers for the boys. You really should, you know.” She breezes past as if she is Lady Bountiful distributing largesse. After Pansy passes them, Louis trains his blue eyes on Nell, so light they’re almost gray. “Yeah,” he says, not unkindly. “Shouldn’t say it. But even the little exposure I’ve had to your family, I’ve gotta say—I’m glad I’m not you right now.” And with that, he hefts his bags and leaves. 2. Consider a follow-up book club discussion to compare and contrast F. Scott Fitzgerald’s The Great Gatsby with Claire McMillan’s depiction of the Jazz Age, or cap off the night by watching a film adaptation of The Great Gatsby. Choose either Baz Luhrmann’s 2013 modern version starring Leonardo DiCaprio, or watch Robert Redford in the title role alongside Mia Farrow in the 1974 adaptation. A Room of One’s Own is a huge solace to me and continually bucks me up and gives me permission to be a woman writing. Of course I have to mention The Great Gatsby, one of my very favorite books and the quintessential Jazz Age novel. I also drew inspiration from Ian McEwan’s modern masterpiece Atonement, which helped me think about the way stories in a family can be distorted by individual perspective and differing agendas. And I greatly admire Donna Tartt’s The Goldfinch for the way she illuminates how objects become important to an individual and how they gain and change in meaning as they travel along with a life. May I name a few? 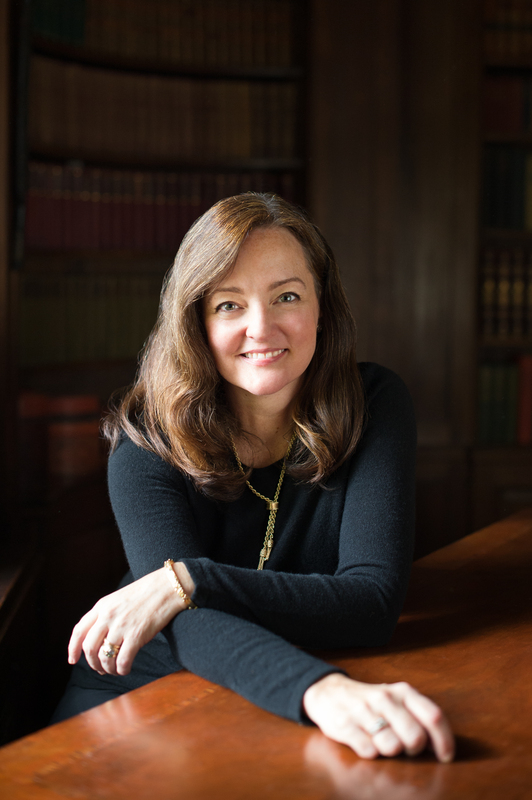 Daphne Du Maurier, Roxane Gay, Andrea Lee, Zadie Smith, F. Scott Fitzgerald, Meg Wolitzer, (the other) Elizabeth Taylor, E. M. Forster, William Maxwell, and of course Edith Wharton, whose The House of Mirth inspired my first book, Gilded Age. There are many more. My sister once said that going to a bookstore with me is like going to a grocery store with anyone else. I always leave with a haul, and I need books for different moods—for breakfast and for lunch and for dinner. Books provide a different but no less essential kind of sustenance.